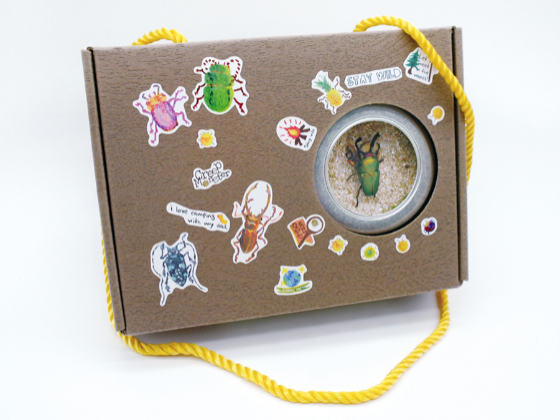 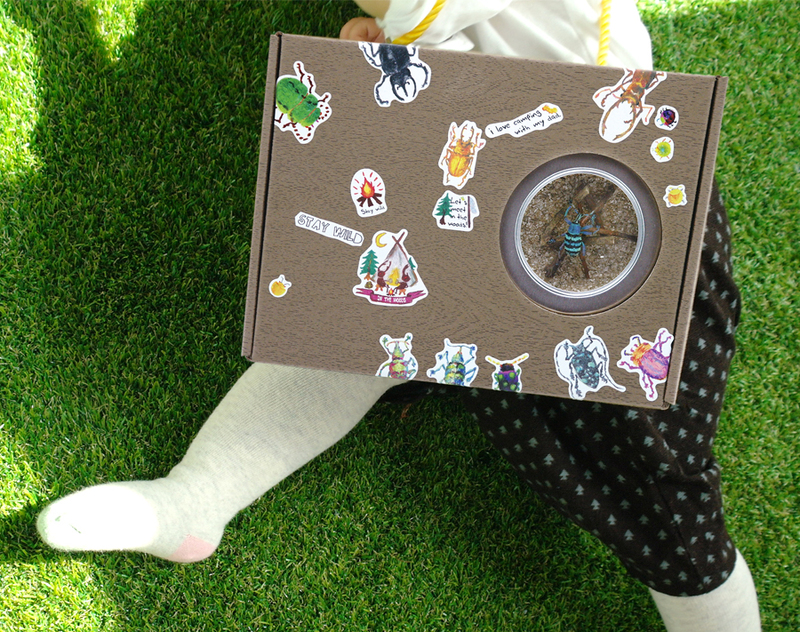 BeetleBox is a diorama package designed as a collecting box motif. 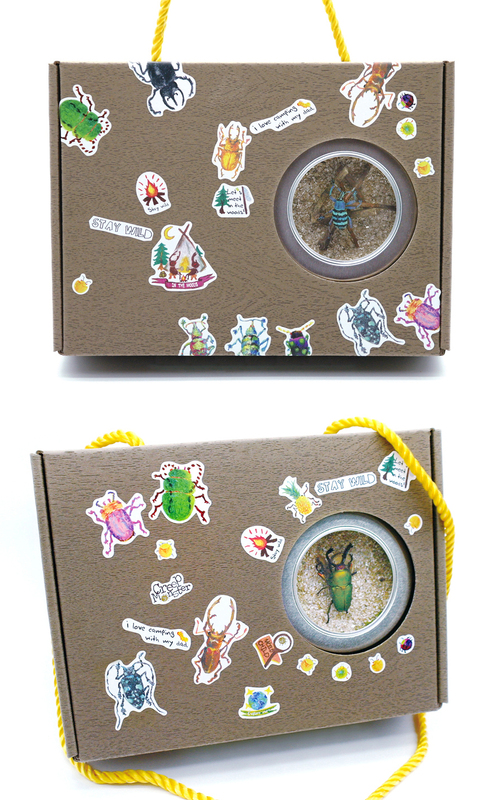 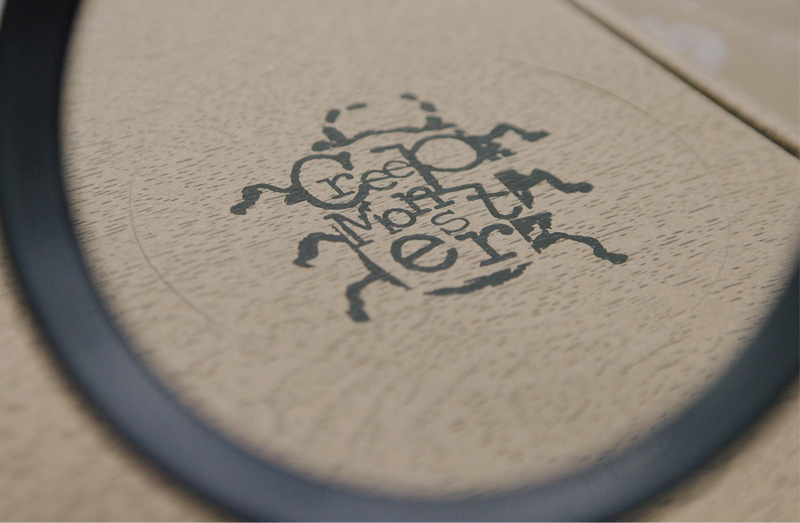 Beetle box is made of special paper made of wood texture. 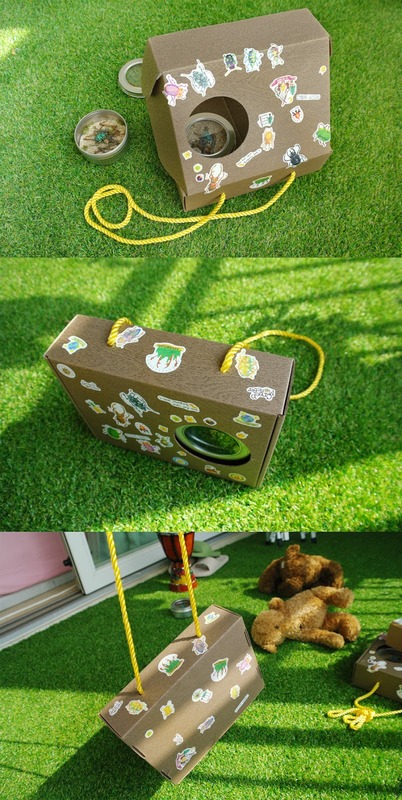 It is a structure that can observe the tin case diorama with the hole in the box. 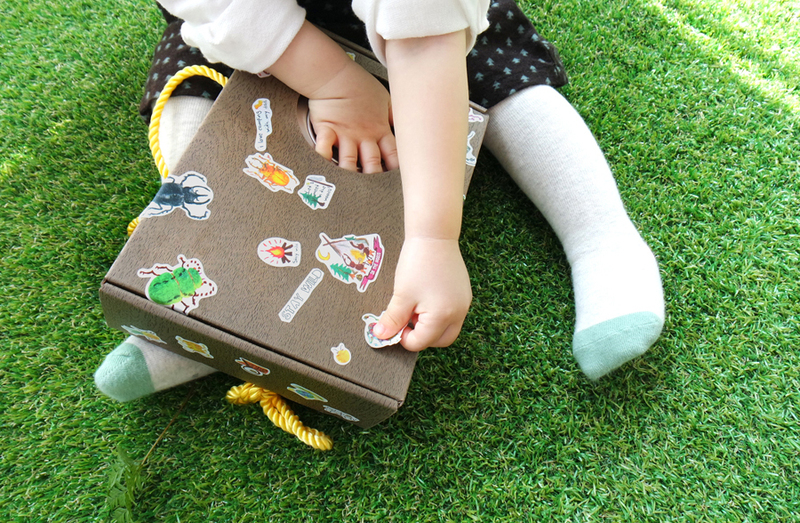 You can decorate it with stickers included in the box. 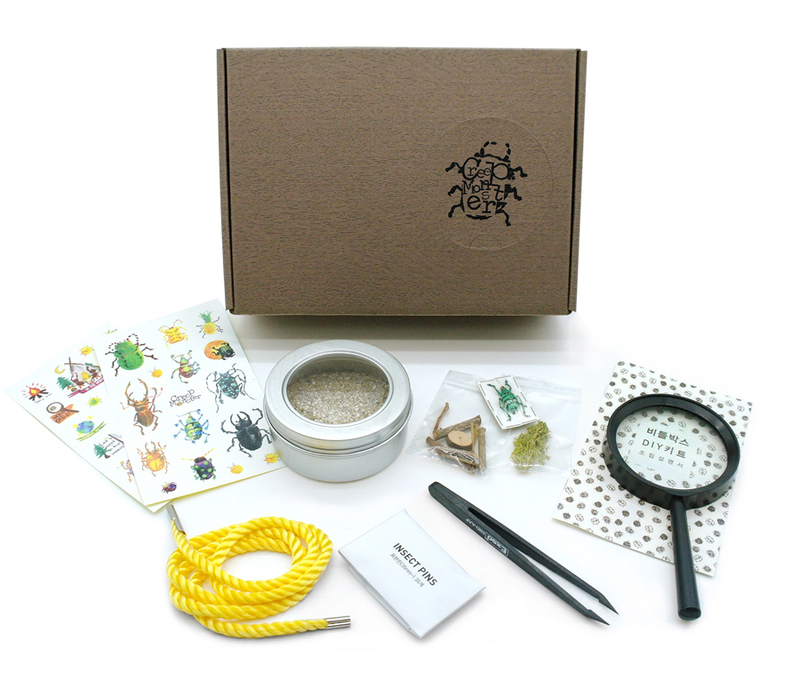 It is also designed to be enjoyed by dads and children who love insects.